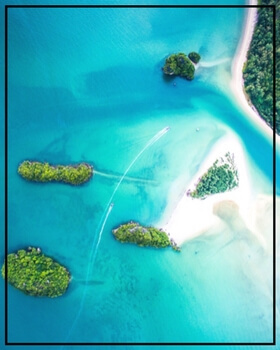 Unspoilt natural site bathed in the Adaman sea, Phuket invites you to admire its stunning lands, incredible flavours, impressive temples and lively areas close to the beaches. The national park of Khao Phra Thaeo, situated on the North side of the island, is the perfect place for those looking for moments of peace and communion with the tropical forest home to rare animal species. And if you are adepts of beautiful butterflies, the Phuket Butterfly Garden and Insect World, a covered garden hosting hundreds of lepidopteras, is a must-see. It is then impossible to get bored in this Thai sunny province. Between folkloric festivals, nautical activities and fascinating museum visits, your taste buds will also travel through the succulent culinary specialties that will be presented to you with a smile. Whether you will be travelling in a pair or with your family, renting a villa in Phuket will give you the best conditions to discover this amazing Thai country.